Montreal’s iconic cruciform-shaped tower offers the most prestigious and vibrant working environment available in the city. Thousands of people emerge daily from Montreal’s famous underground city to make their way to work at Place Ville Marie via one of the public transit arteries that converge below the property, granting access to two metro stations, two train stations, and the city’s downtown bus terminal. 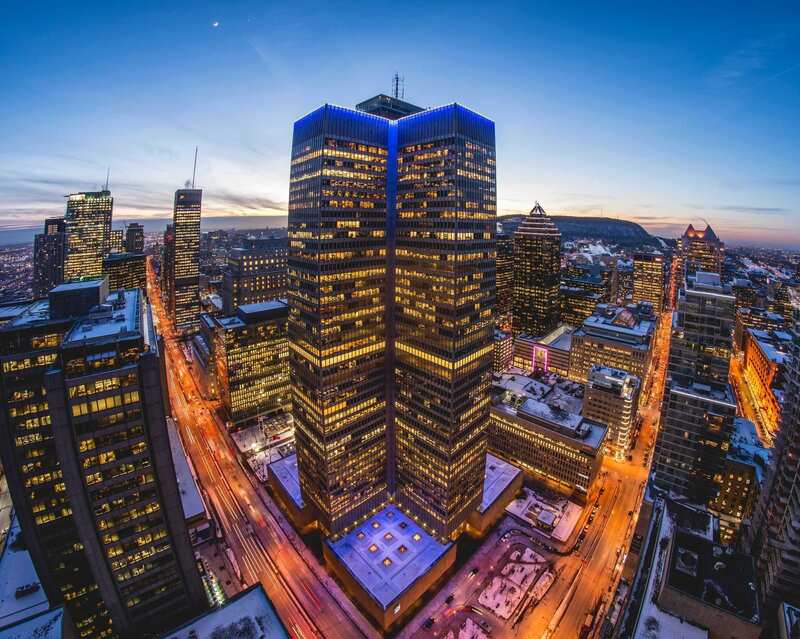 1 Place Ville Marie is the centerpiece of a four-building, 3-million-square-foot development that is widely recognized as the epicentre of Montreal’s business community. The building’s 36,000-square-foot floor plates provide efficiency and flexibility and can be subdivided into smaller pods. Each floor is equipped with over 200 windows measuring 32.5 square feet, which flood the space with natural light and provide access to the best views the city has to offer. This building has been given a Wired Certification of Gold for 2019. The following Carriers are available in the building : Bell - Fibre, Rogers - Fibre, Zayo - Fibre, Fibrenoire - Fibre, Cogent - Type 2 Fibre, Cogeco - Fibre, Videotron - Coax, Videotron - Fibre, Telus - Fibre. WiredScore certifies the quality of the building's internet connectivity.